This is an awesome deal! 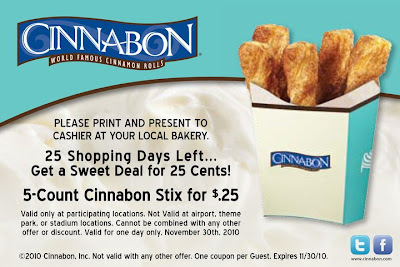 If you are out running errands today, then stop by your local Cinnabon for some Cinnabon Stix. 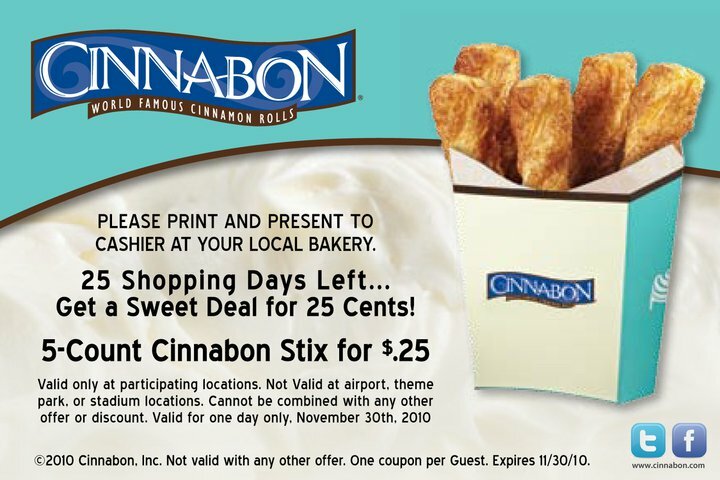 This is valid today only 11/30 and you must have the coupon in order to get the discount. It's not valid at airport locations though.